Modern styles can still rely on very traditional materials, including beautiful natural stones. As a wholesaler, you can rely on Nalboor Tiles for smart options, quality pieces, and consistent inventories. Here are some of the growing trends and how NalboorTiles can help you meet the needs of your contractors, designers, and architects. Organic is in, natural looks are hot, and people are moving away from the glazed tiles of the past for all kinds of spaces. One example is in the shower. Natural stones are replacing glazed tiles for the walls, and the results are stunning. Many builders are even foregoing traditional ceramic or fiberglass basins in favor of custom natural stone designs. Highly popular options include Adalia Cappuccino, Crema River, and Arizona Ivory Travertine. We offer these tiles by the crate, and you can stay fully stocked on 18-inch square tiles that can be trimmed down on-site to meet almost any design or shape. Free samples are available for you to share with your customers, and we maintain a steady inventory so that you can keep up with orders of all sizes. Modern homes are moving away from wood porches in favor of more upscale materials, and nothing says sophistication like beautiful natural stone tiles. Use marble, travertine, or granite as a selling point with contractors of all sizes. Our tiles are precisely manufactured for consistency and durability, so installers can be confident that Nalboor Tiles products will withstand all types of weather and look great for decades to come. One of the great benefits of larger tiles is that they can be cut to mimic flagstone or left intact for a basic pattern. We can also provide you with a few different sizes so that your contractors can get creative with modern patterns and looks. We also stock anti-slip penetrating sealers that will protect the stones while creating better traction. Your contractors will love knowing that you’re helping them provide consumers with safe flooring areas that also have an attractive, modern look. Porches aren’t the only outdoor option for natural stones. Keep a good supply ready for your high-end pool builders. In the past, people went with concrete or gravel around the pool, but beautiful natural stones will make it feel more like a true retreat. This is why the best designers and builders in the industry are commonly using Coral Stone tiles around their pools. Coral Stone is an ideal choice because it stays cool even in the hot sun, is resistant to freezing temperatures, and can easily handle regular exposure to rain and sunshine. It looks luxurious and has a tasteful feel that’s at home on any pool deck. Ceramic tiles can be cold under foot, but natural stone has a more stable temperature that consumers appreciate. When working with general contractors, you can meet their needs by having a range of different natural stones ready to go. 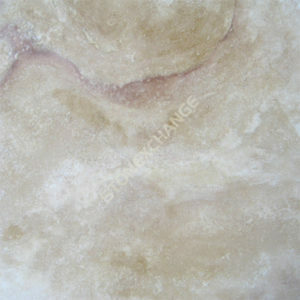 We carry neutral earthtones like Breccia Oniciata Marble as well as stunning white tiles like Vanilla Oro. With shades ranging from pure white to deep black, your renovation specialists can handle almost any project. We take great care when packaging crates to minimize breakage, so your customers can get right to work when the shipment arrives. We’re able to order directly from the quarries, and that allows us to maintain more stable inventory levels. Once your client decides to start using one of our options, you can be confident that filling future orders will be convenient and easy. Brick has been the common building choice for generations, but it lacks style in modern homes. While brick is still a fine choice for the structural integrity of a fireplace, most homeowners want it covered with something more attractive. This is why builders are returning to the marble finishes that were seen more than a century ago. While many homeowners are opting for smooth manufactured marble tile, others are flocking to tumbled tile that add texture and an appealing, natural finish. We offer tumbled stones in a range of colors, including tan, dark gray, white, and even red. The natural veining of the stones shines through, and the rough finish is ideal for fireplaces that call for a more rustic finish. Combined with large slabs of natural rock, these fireplaces make a powerful statement that help designers set themselves apart. Old school teaching says that you don’t mix materials, but modern homes thrive on the variety. Builders are using wood in kitchen floors with granite counters and natural stone backsplashes. They’ll mix wood and natural stone as siding, and people are discovering that natural stone looks completely at home with all types of stainless steel appliances and accessories. The natural stone has a soothing feel to it without feeling cold. The movement of colors adds visual interest so that a modern space won’t seem sterile. Ideal for interior and exterior applications, it’s hard to know where a builder will use natural stone next. However, you can be ready for all types of trends by working with Nalboor Tiles. We have excellent rates so that you can save money and stay competitive with your clients. Our quality is exceptional, and we can fill orders quickly. If you have a client come in with special orders, just give us a call. We’ll be happy to review the options, timing, and pricing with you so that you can keep the customer happy. We offer wholesale pricing that you’re sure to love, and we also believe in putting our customers first. That’s why we offer a stable inventory of beautiful natural stones, ceramic tiles, tumbled tiles, and maintenance products. We have the colors and patterns that contractors across the United States and Caribbean are searching for. Call our friendly staff today at 305.501.4548 or contact Nalboor Tiles online to start placing your order and see how we can help your distribution center be a success.